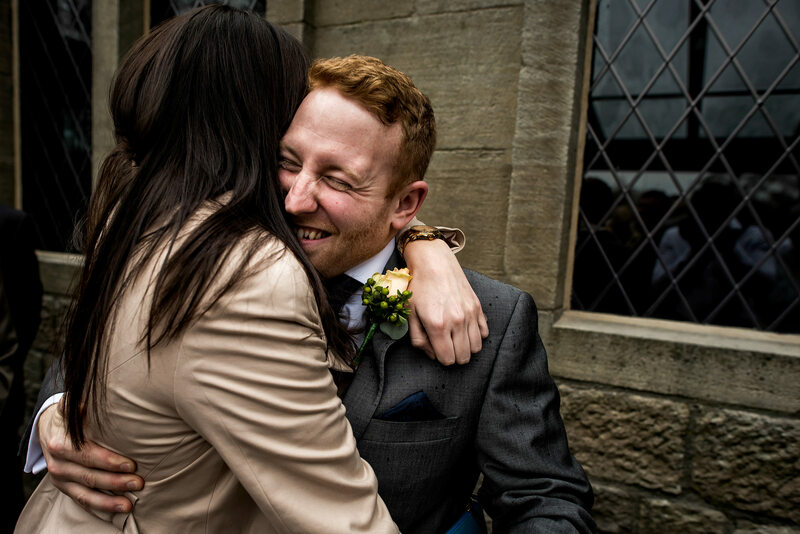 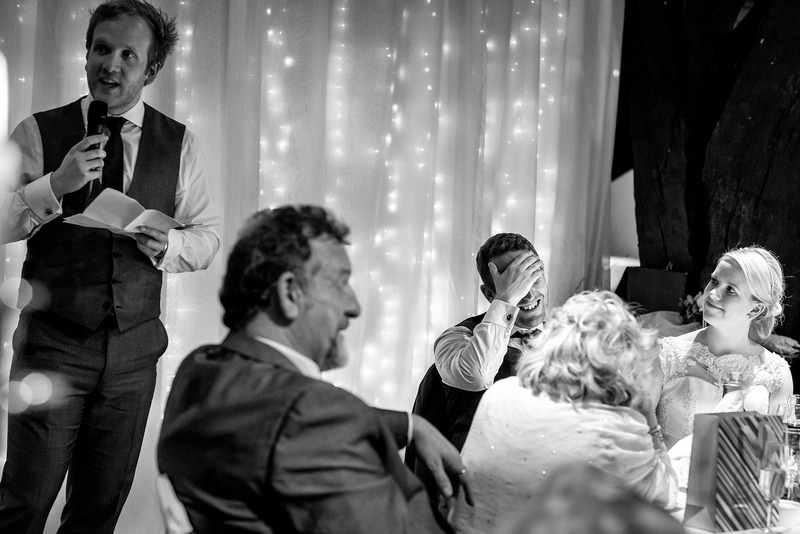 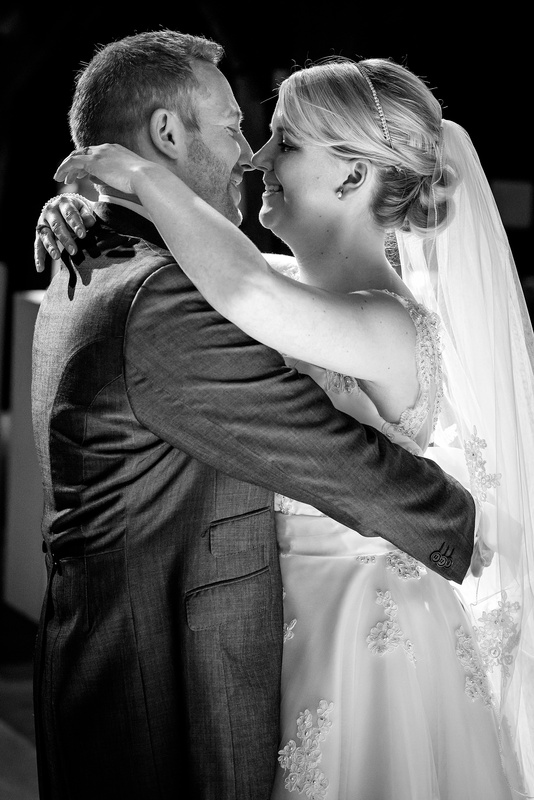 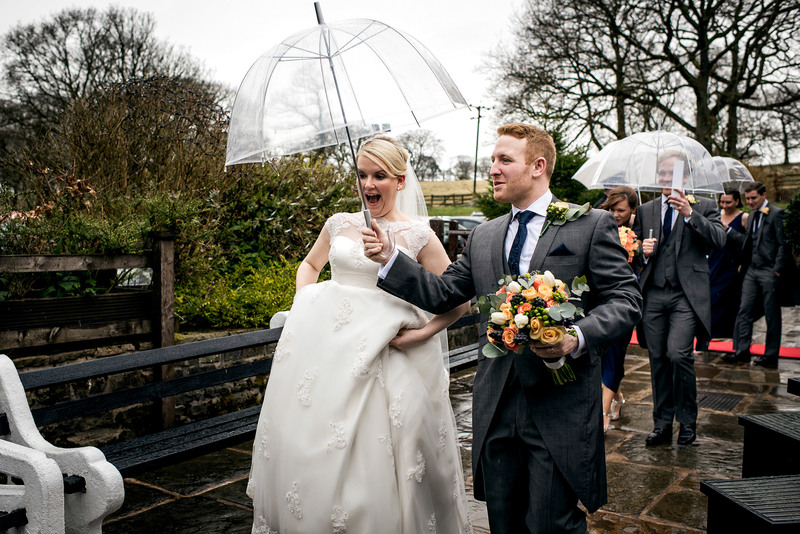 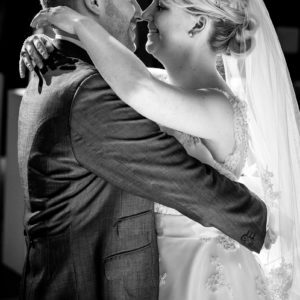 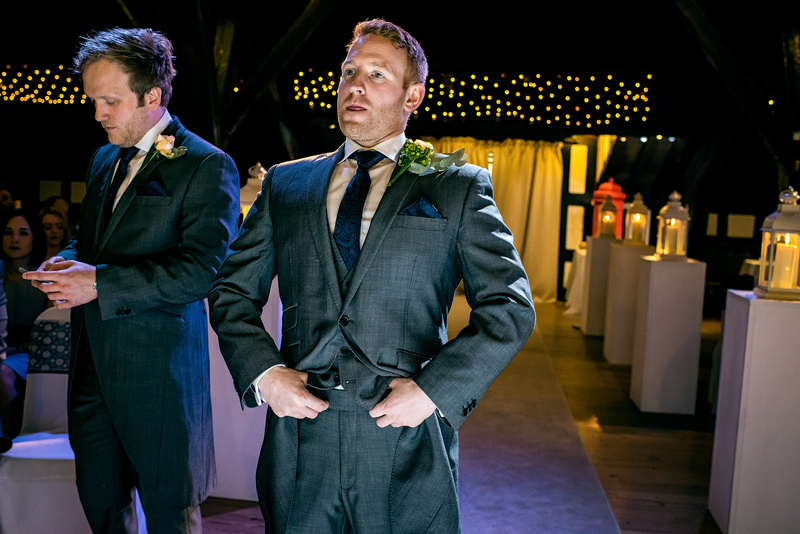 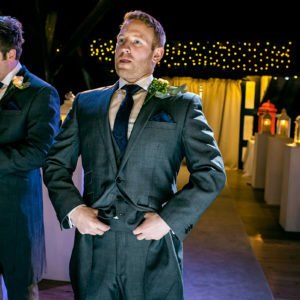 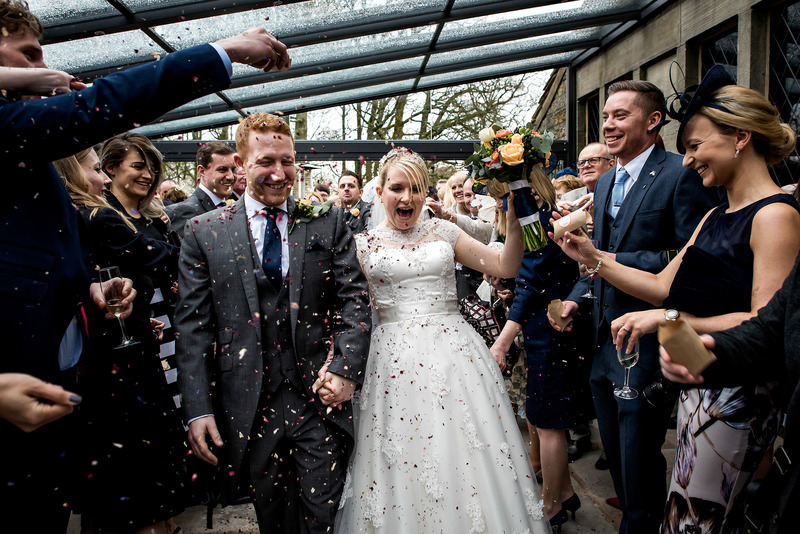 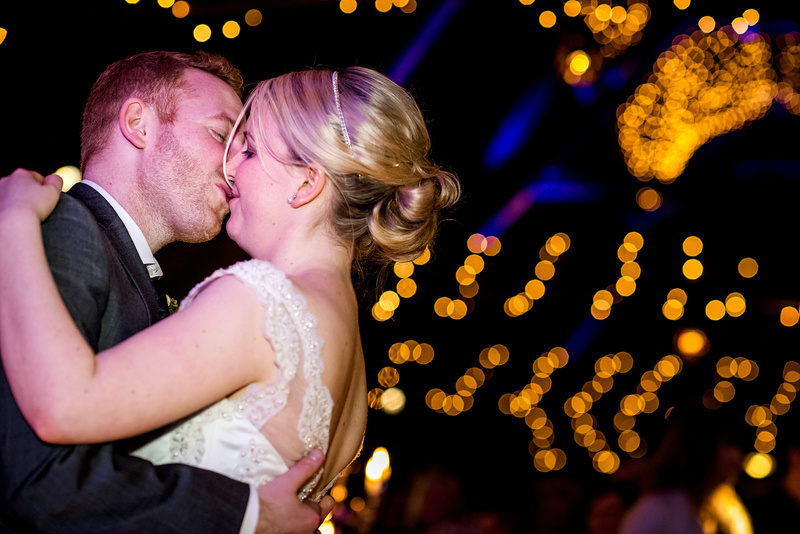 Today we look back at the brilliant Rivington Hall Barn wedding of Michelle and Ben. 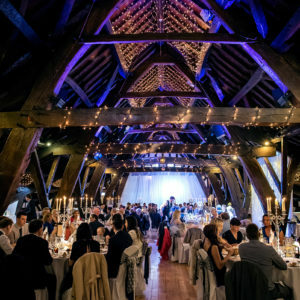 A day that despite being threatened by awful weather still came out in shining magnificence, under the stunning ambience of Rivington Hall Barn. 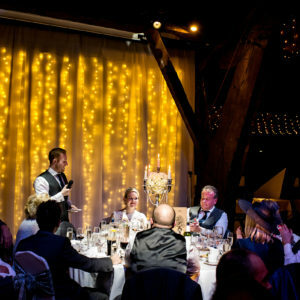 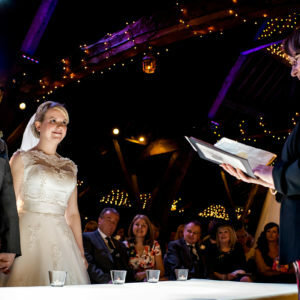 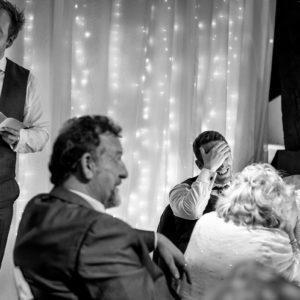 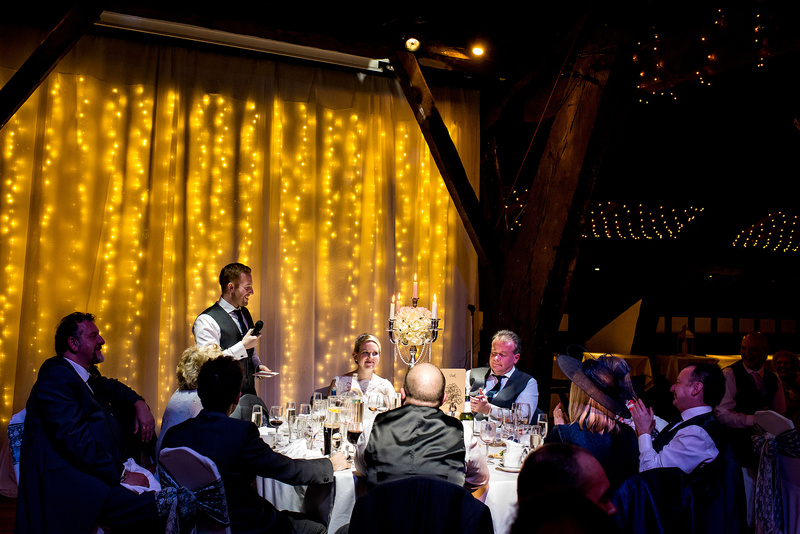 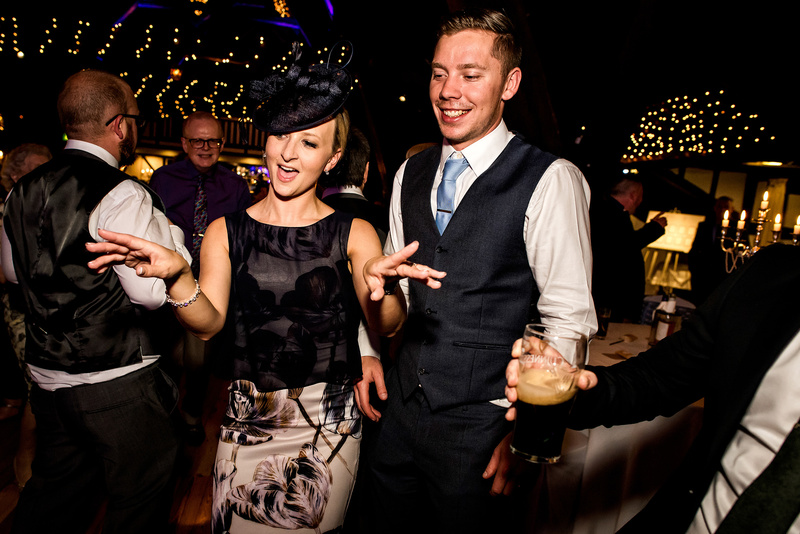 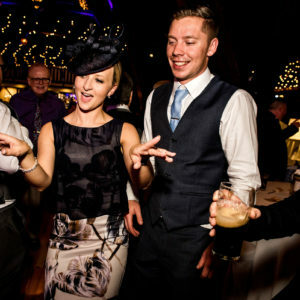 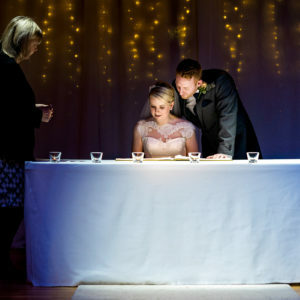 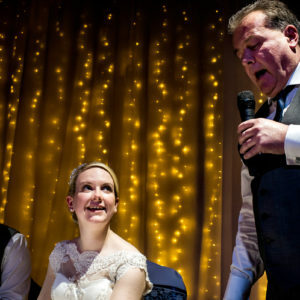 If you’re looking for a barn-wedding venue in the North West then you have to consider a Rivington Hall Barn wedding. 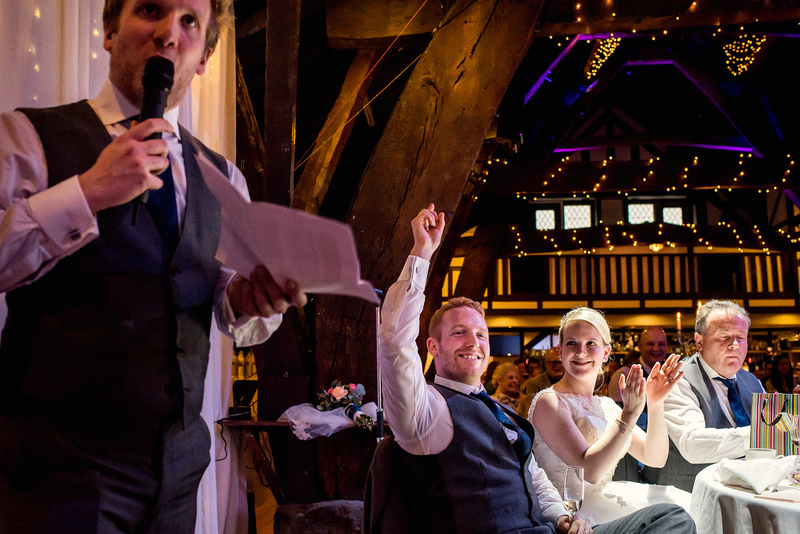 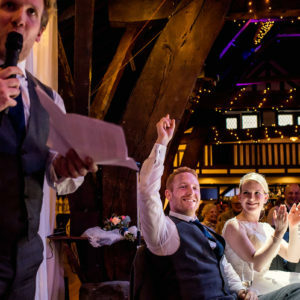 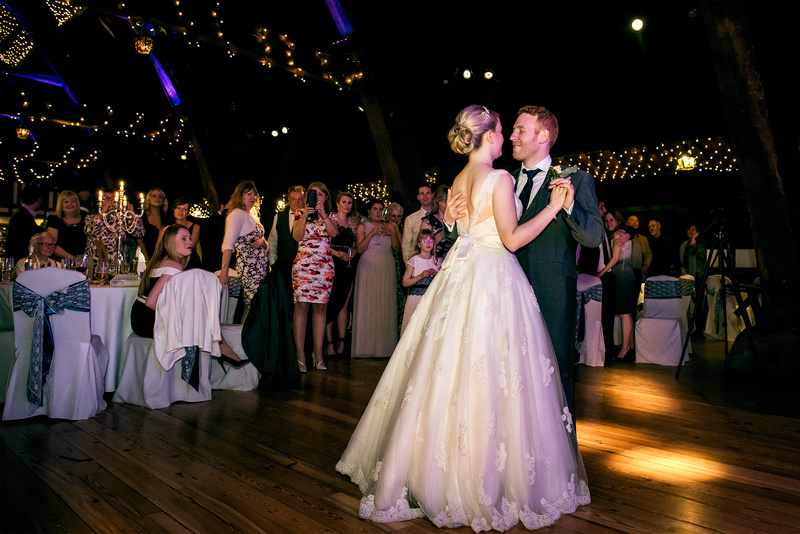 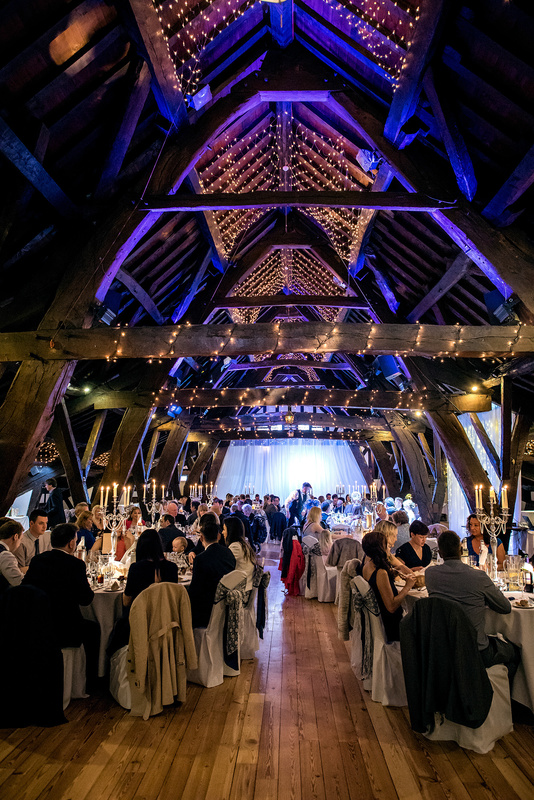 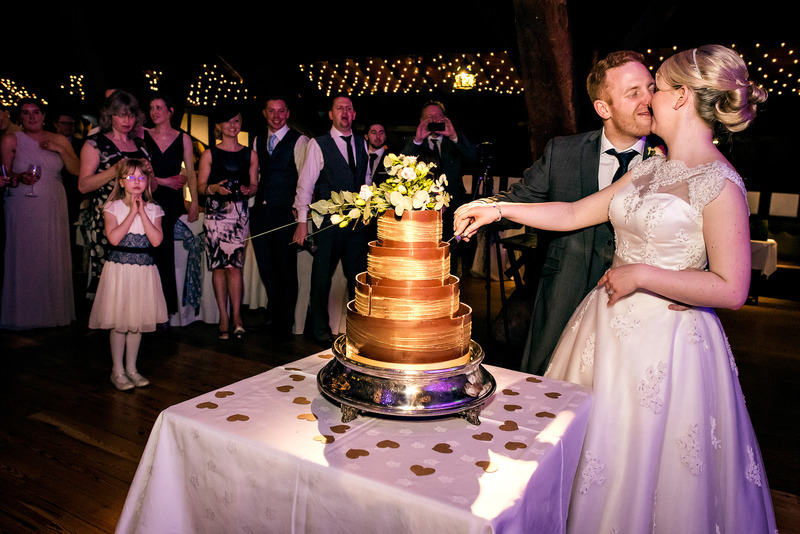 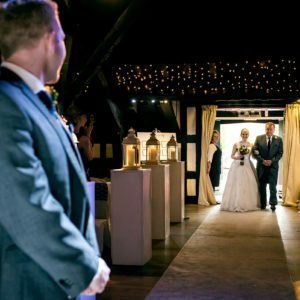 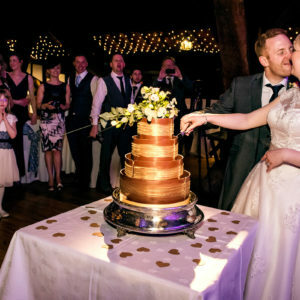 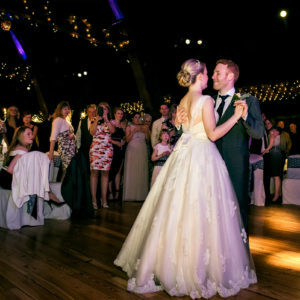 With an impressive beamed roof, magical lighting and beautiful grounds the barn is the perfect location for your wedding. 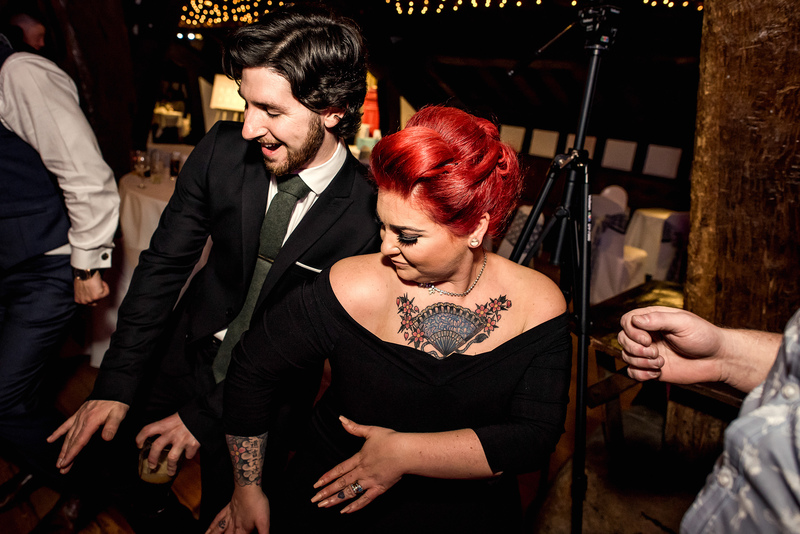 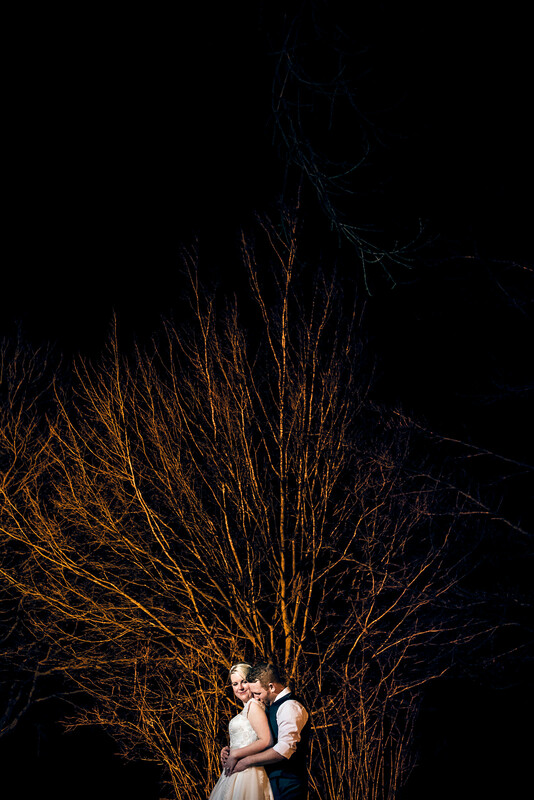 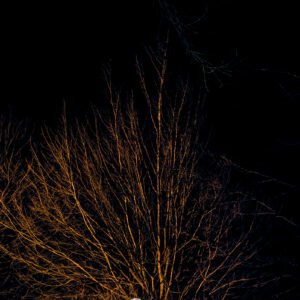 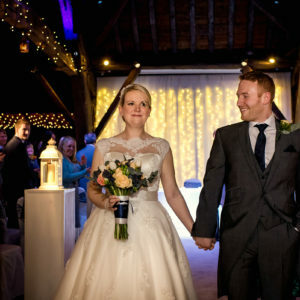 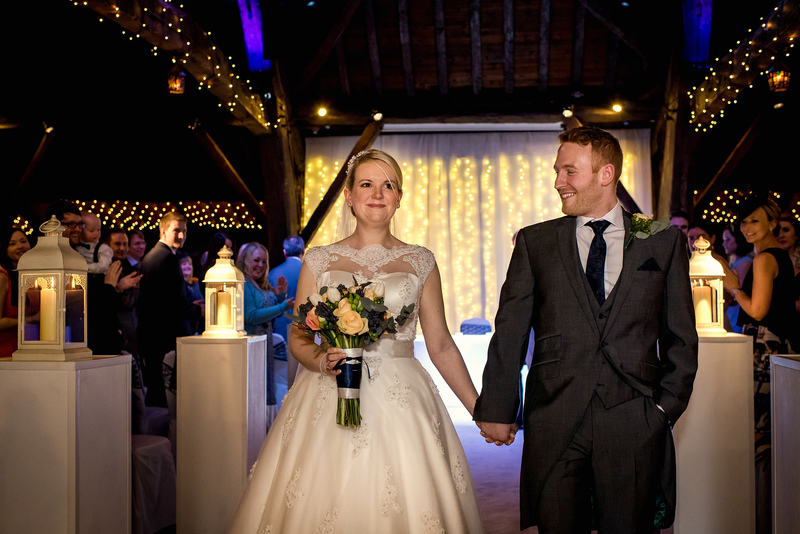 Michelle and Ben took advantage of this with the exclusive use of the barn for their wedding ceremony and reception. 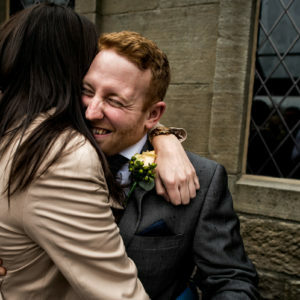 Michelle’s morning started at her home in Manchester. 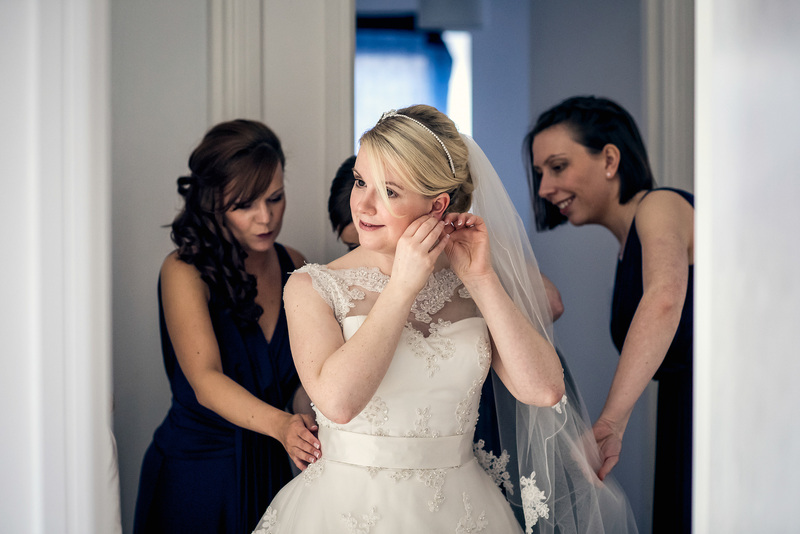 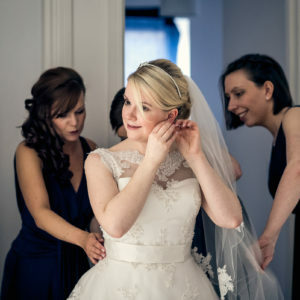 With her bridesmaids on hand to help Michelle’s preparations the morning went by smoothly. 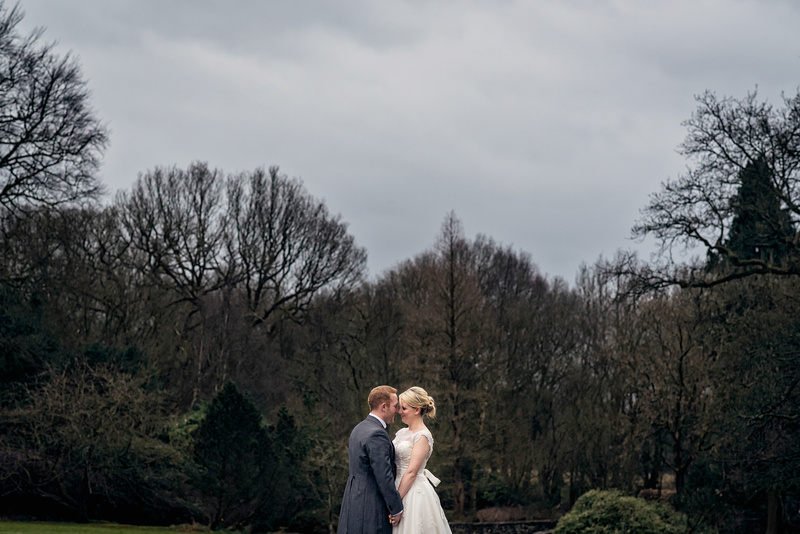 It was then over to Bolton for their Rivington Hall Barn wedding. 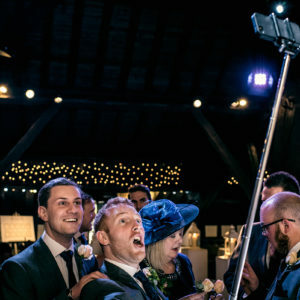 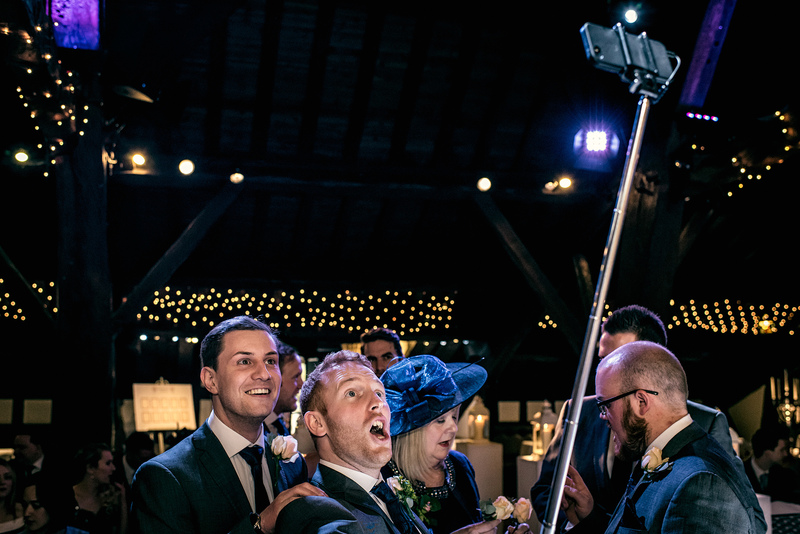 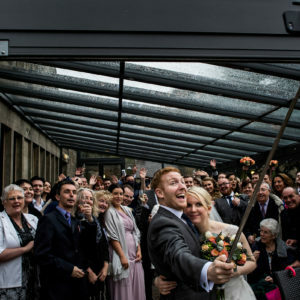 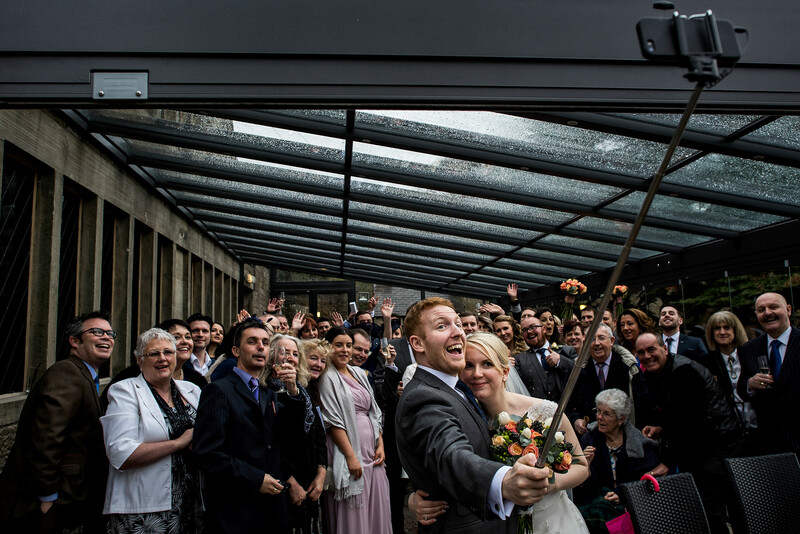 Greeting his guests with a few group selfies, Ben set the tone for what proved to be a relaxed and enjoyable day. 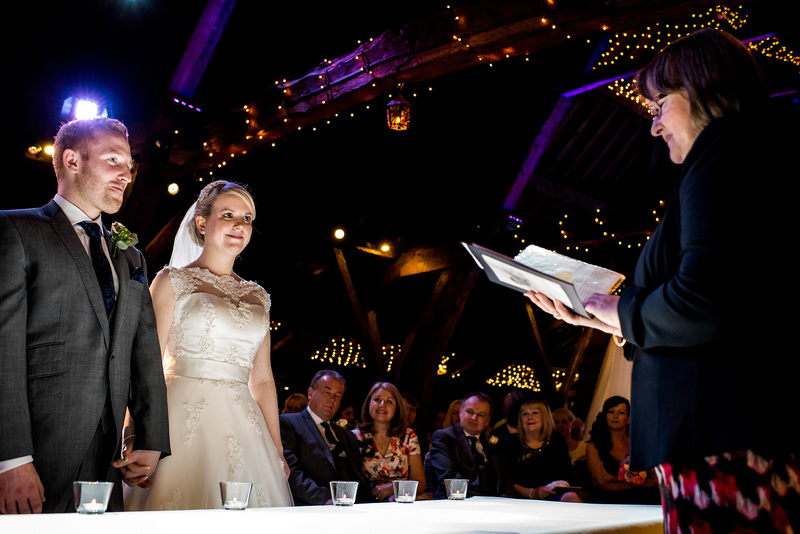 Their ceremony was held at the end of a beautifully lit aisle. 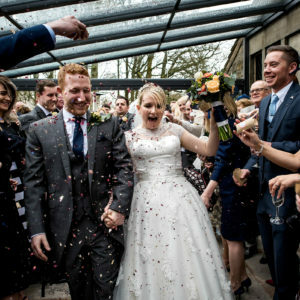 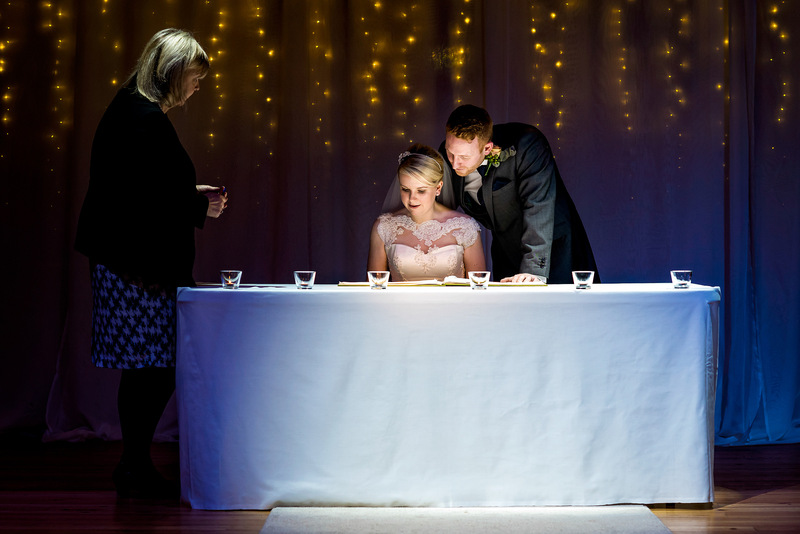 Under a glistening backdrop Michelle and Ben exchanged vows, witnessed by their friends and family. 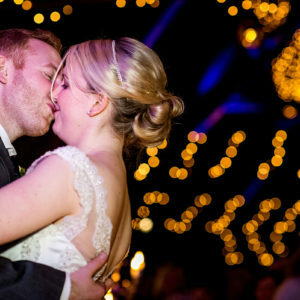 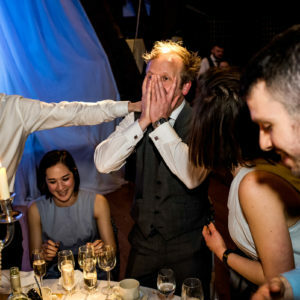 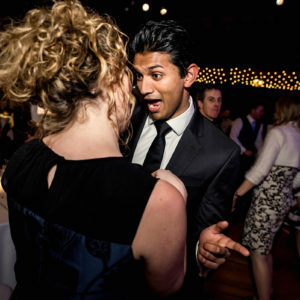 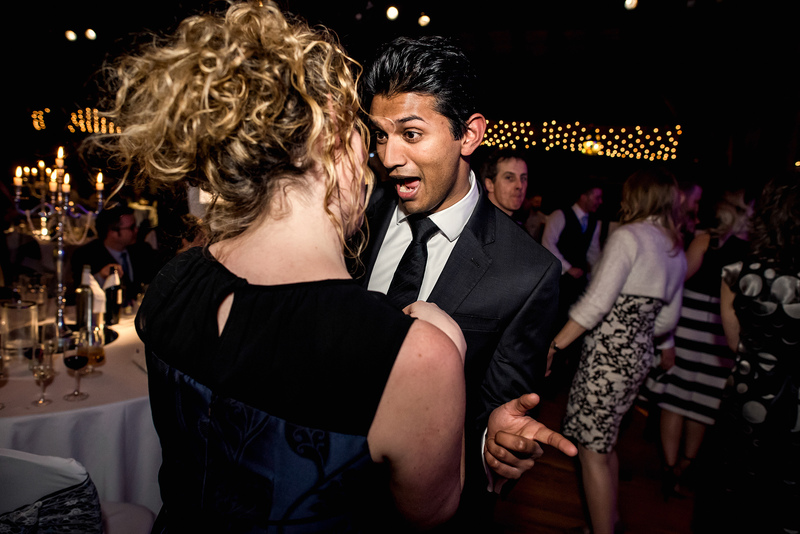 With a first kiss as husband and wife celebrations were well underway and all that was left to do was to party with their guests. 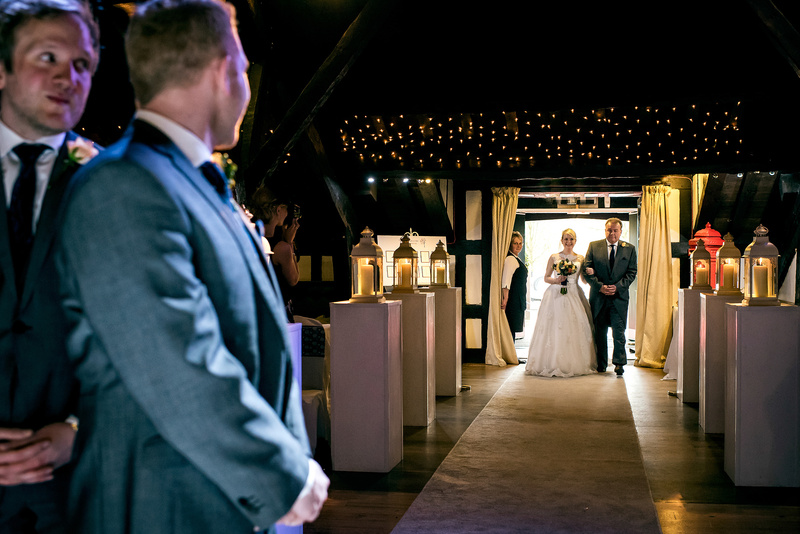 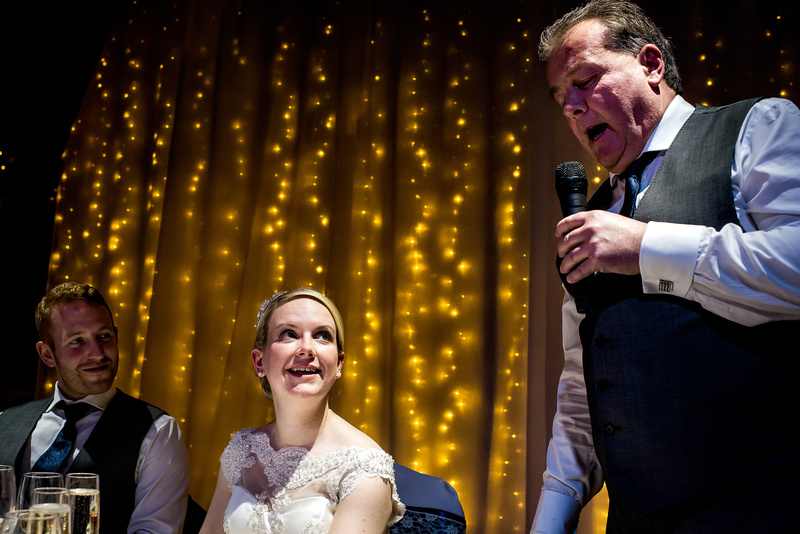 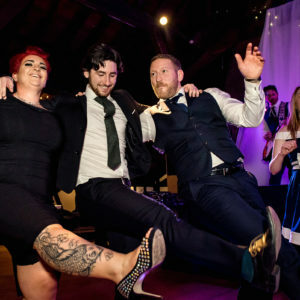 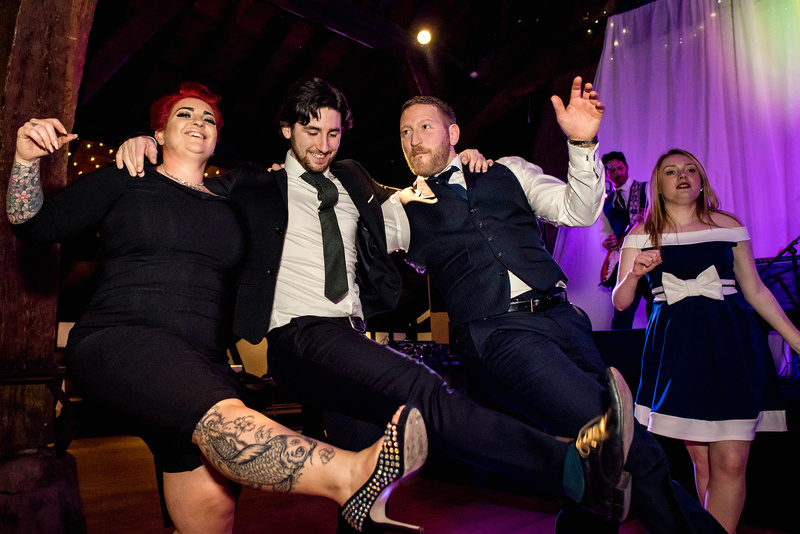 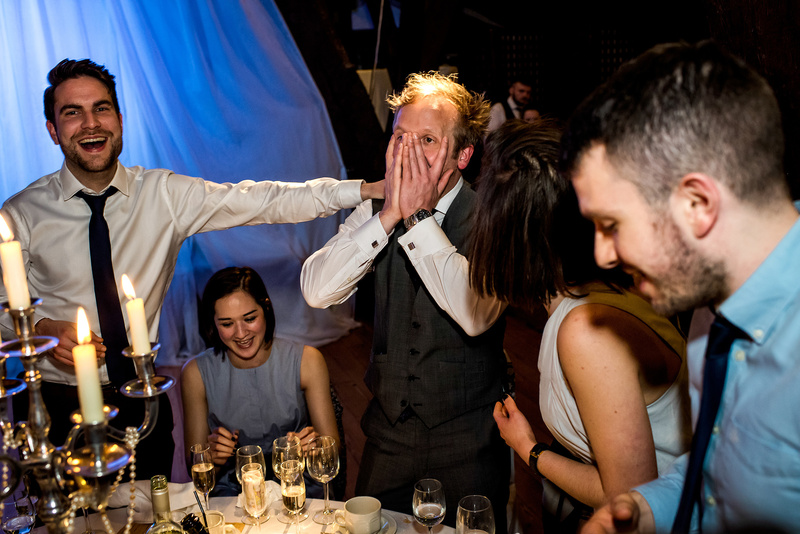 Gladly I was with the wedding party into the evening and here are some of my favourite moments of Michelle and Ben’s Rivington Hall Barn wedding.